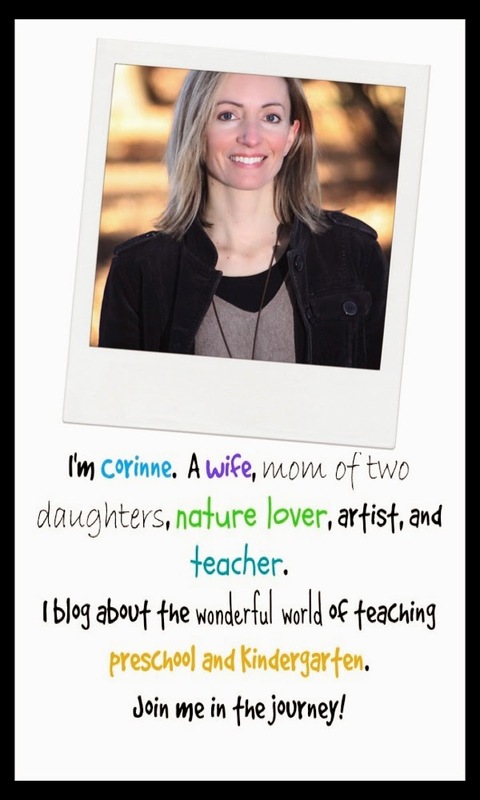 Teach Easy Resources: Cats and Dogs in the Classroom? Yes! All "Stuffed" Versions Welcome! Cats and Dogs in the Classroom? Yes! All "Stuffed" Versions Welcome! We had quite a variety of creatures - everything from giant snakes, to monkeys, to your every day puppies and cats. 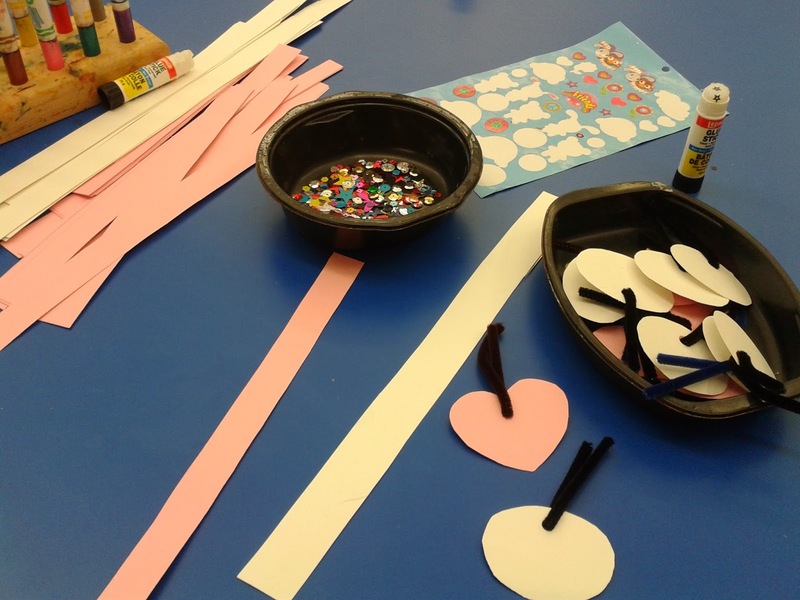 At the craft table, we made collars and name tags for the pets. 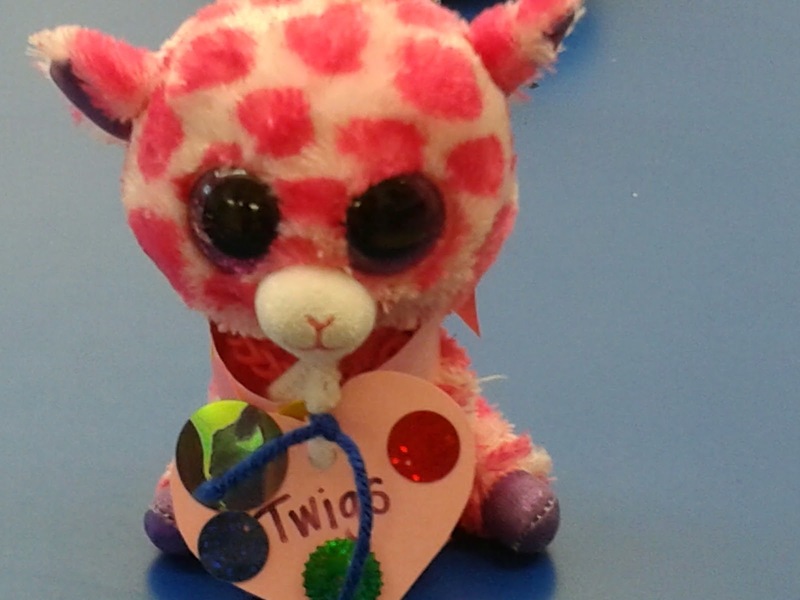 Here's our friend, Twigs the giraffe, with his sparkly new collar and tag. After the pets were all suited up, the children took them for walks (i.e. slides) around the classroom. They also stopped at our Pet Shop (see post HERE) to buy them treats. And they made little homes for them with blankets and boxes. At the end of the day, we dropped all the pets on top of our parachute for a trampoline ride. The stuffies tended to bunch in the middle as we bounced them, but the kids didn't seem to mind. Then we treated the pets to a parachute game of ring around the rosy. 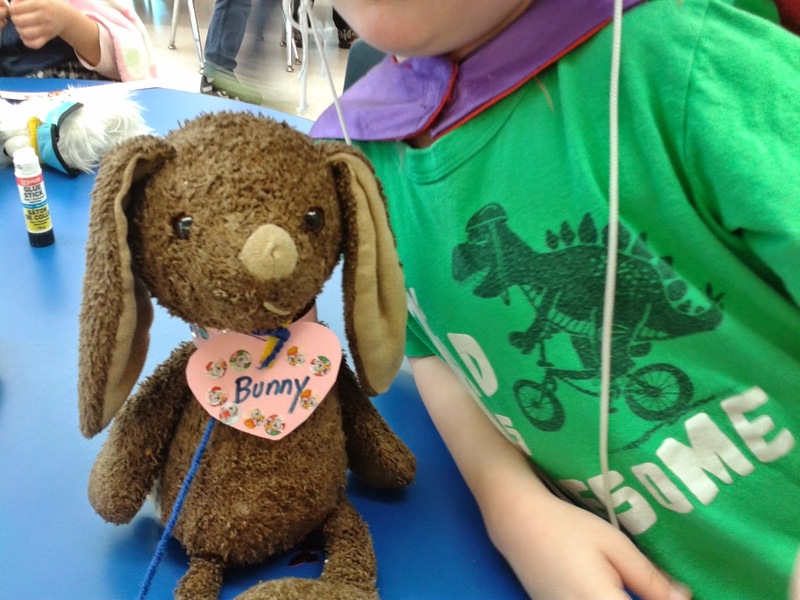 Did you have a fun day at preschool Bunny? I think so!